Mariah’s debut recording, Sangria was released in 2009 and has received airplay on over 468 New World, Jazz, and Latin radio programs, and earned over 90 reviews and media placements including two songs on the Smooth Jazz Now Top 100 Songs of 2009 Chart. 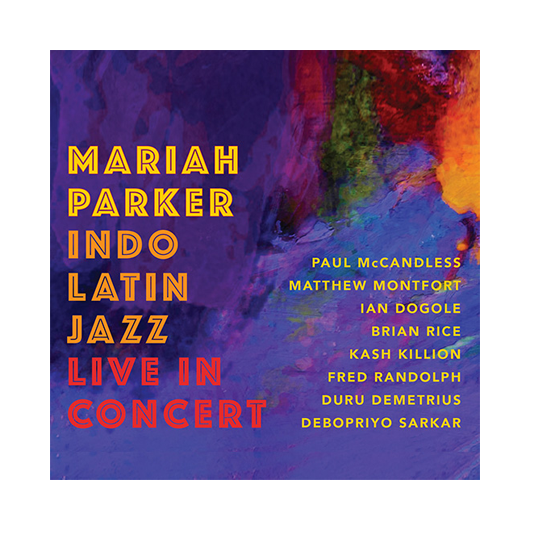 In 2009 Mariah and her Indo Latin Jazz Ensemble performed their debut concert to a full house at Yoshi’s in Oakland. Indo Latin Jazz Live in Concert captures the magic of that first performance as well as subsequent concerts at Berkeley’s Freight & Salvage, the Throckmorton Theater in Mill Valley and Bob Weir’s TRI Studios in San Rafael. This recording is scheduled to be released January 20, 2017. To listen to sound samples and read additional information and review excerpts of each CD, click on the album covers below.